For other uses, see The Big Bounce (disambiguation). TheUniverse is all of space and time and their contents, including planets, stars, galaxies, and all other forms of matter and energy. While the spatial size of the entire Universe is unknown, it is possible to measure the size of the observable universe: it is currently estimated to be 93 billion light years in diameter. In various multiverse hypotheses, auniverse is one of many causally disconnected constituent parts of a larger multiverse, which itself comprises all of space and time and its contents. A cyclic model is any of several cosmological models in which the universe follows infinite, or indefinite, self-sustaining cycles. For example, the oscillating universe theory briefly considered by Albert Einstein in 1930 theorized a universe following an eternal series of oscillations, each beginning with a big bang and ending with a big crunch; in the interim, the universe would expand for a period of time before the gravitational attraction of matter causes it to collapse back in and undergo a bounce. The concept of the Big Bounce envisions the Big Bang as the beginning of a period of expansion that followed a period of contraction. In this view, one could talk of a Big Crunch followed by a Big Bang, or more simply, a Big Bounce. This suggests that we could be living at any point in an infinite sequence of universes, or conversely the current universe could be the very first iteration. However, if the condition of the interval phase "between bounces", considered the 'hypothesis of the primeval atom', is taken into full contingency such enumeration may be meaningless because that condition could represent a singularity in time at each instance, if such perpetual return was absolute and undifferentiated. A gravitational singularity, spacetime singularity or simply singularity is a location in spacetime where the gravitational field of a celestial body becomes infinite in a way that does not depend on the coordinate system. The quantities used to measure gravitational field strength are the scalar invariant curvatures of spacetime, which includes a measure of the density of matter. Since such quantities become infinite within the singularity, the laws of normal spacetime cannot exist. The main idea behind the quantum theory of a Big Bounce is that, as density approaches infinity, the behavior of the quantum foam changes. All the so-called fundamental physical constants, including the speed of light in a vacuum, need not remain constant during a Big Crunch, especially in the time interval smaller than that in which measurement may never be possible (one unit of Planck time, roughly 10−43 seconds) spanning or bracketing the point of inflection. Quantum foam or spacetime foam is the fluctuation of spacetime on very small scales due to quantum mechanics. The idea was devised by John Wheeler in 1955. In quantum mechanics, the Planck time is the unit of time in the system of natural units known as Planck units. 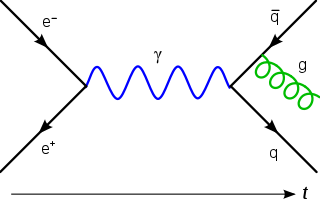 A Planck time unit is the time required for light to travel a distance of 1 Planck length in a vacuum, which is a time interval of approximately 5.39 × 10 −44 s. The unit is named after Max Planck, who was the first to propose it. If the fundamental physical constants were determined in a quantum-mechanical manner during the Big Crunch, then their apparently inexplicable values in this universe would not be so surprising, it being understood here that a universe is that which exists between a Big Bang and its Big Crunch. The Big Bounce Models, however do not explain much about that how the currently expanding universe will manage to contract. This constant and steady expansion is explained by NASA through the expansion of the universe. Willem de Sitter was a Dutch mathematician, physicist, and astronomer. Carl Friedrich Freiherr von Weizsäcker was a German physicist and philosopher. He was the longest-living member of the team which performed nuclear research in Germany during the Second World War, under Werner Heisenberg's leadership. There is ongoing debate as to whether or not he and the other members of the team actively and willingly pursued the development of a nuclear bomb for Germany during this time. By the early 1980s, the advancing precision and scope of observational cosmology had revealed that the large-scale structure of the universe is flat, homogenous and isotropic, a finding later accepted as the Cosmological Principle to apply at scales beyond roughly 300 million light-years. It was recognized that it was necessary to find an explanation for how distant regions of the universe could have essentially identical properties without ever having been in light-like communication. 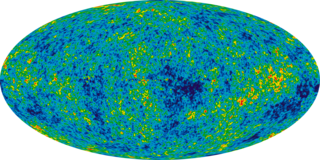 A solution was proposed to be a period of exponential expansion of space in the early universe, as a basis for what became known as Inflation theory. Following the brief inflationary period, the universe continues to expand, but at a less rapid rate. One of the main problems with the Big Bang theory is that at the moment of the Big Bang, there is a singularity of zero volume and infinite energy. This is normally interpreted as the end of the physics as we know it; in this case, of the theory of general relativity. This is why one expects quantum effects to become important and avoid the singularity. However, research in loop quantum cosmology purported to show that a previously existing universe collapsed, not to the point of singularity, but to a point before that where the quantum effects of gravity become so strongly repulsive that the universe rebounds back out, forming a new branch. Throughout this collapse and bounce, the evolution is unitary. Bojowald also claims that some properties of the universe that collapsed to form ours can also be determined. Some properties of the prior universe are not determinable however due to some kind of uncertainty principle. In 2011, Nikodem Popławski showed that a nonsingular Big Bounce appears naturally in the Einstein-Cartan-Sciama-Kibble theory of gravity. This theory extends general relativity by removing a constraint of the symmetry of the affine connection and regarding its antisymmetric part, the torsion tensor, as a dynamical variable. The minimal coupling between torsion and Dirac spinors generates a spin-spin interaction which is significant in fermionic matter at extremely high densities. Such an interaction averts the unphysical Big Bang singularity, replacing it with a cusp-like bounce at a finite minimum scale factor, before which the universe was contracting. This scenario also explains why the present Universe at largest scales appears spatially flat, homogeneous and isotropic, providing a physical alternative to cosmic inflation. In 2012, a new theory of nonsingular big bounce was successfully constructed within the frame of standard Einstein gravity. This theory combines the benefits of matter bounce and Ekpyrotic cosmology. Particularly, the famous BKL instability, that the homogeneous and isotropic background cosmological solution is unstable to the growth of anisotropic stress, is resolved in this theory. Moreover, curvature perturbations seeded in matter contraction are able to form a nearly scale-invariant primordial power spectrum and thus provides a consistent mechanism to explain the cosmic microwave background (CMB) observations. The ekpyrotic universe is a cosmological model of the early universe that explains the origin of the large-scale structure of the cosmos. The model has also been incorporated in the cyclic universe theory, which proposes a complete cosmological history, both the past and future. In theoretical physics, the Einstein–Cartan theory, also known as the Einstein–Cartan–Sciama–Kibble theory, is a classical theory of gravitation similar to general relativity. The theory was first proposed by Élie Cartan in 1922 and expounded in the following few years. Quantum cosmology is the attempt in theoretical physics to develop a quantum theory of the Universe. This approach attempts to answer open questions of classical physical cosmology, particularly those related to the first phases of the universe. Paul Joseph Steinhardt is an American theoretical physicist and cosmologist who is currently the Albert Einstein Professor in Science at Princeton University. The Weyl curvature hypothesis, which arises in the application of Albert Einstein's general theory of relativity to physical cosmology, was introduced by the British mathematician and theoretical physicist Sir Roger Penrose in an article in 1979 in an attempt to provide explanations for two of the most fundamental issues in physics. On the one hand one would like to account for a universe which on its largest observational scales appears remarkably spatially homogeneous and isotropic in its physical properties, on the other hand there is the deep question on the origin of the second law of thermodynamics. Eternal inflation is a hypothetical inflationary universe model, which is itself an outgrowth or extension of the Big Bang theory. Loop quantum cosmology (LQC) is a finite, symmetry-reduced model of loop quantum gravity (LQG) that predicts a "quantum bridge" between contracting and expanding cosmological branches. Nikodem Janusz Popławski is a Polish theoretical physicist, most widely noted for the hypothesis that every black hole could be a doorway to another universe and that the universe was formed within a black hole which itself exists in a larger universe. This hypothesis was listed by National Geographic and Science magazines among their top ten discoveries of 2010. Popławski appeared in a bonus episode of the TV show Through the Wormhole titled "Are There Parallel Universes?" and an episode of the Discovery Channel show Curiosity titled "Parallel Universes – Are They Real? ", which were hosted by Morgan Freeman and aired in 2011. He was named by Forbes magazine in 2015 as one of five scientists in the world most likely to become the next Albert Einstein. The Einstein–Maxwell–Dirac equations (EMD) are a classical field theory defined in the setting of general relativity. They are interesting both as a classical PDE system in mathematical relativity, and as a starting point for some work in quantum field theory. 1 2 Brandenberger, Robert; Peter, Patrick (2017). "Bouncing Cosmologies: Progress and Problems". Foundations of Physics. 47 (6): 797–850. arXiv: 1603.05834 . Bibcode:2017FoPh...47..797B. doi:10.1007/s10701-016-0057-0. ISSN 0015-9018. ↑ Kragh, Helge (1996). Cosmology. Princeton, NJ, USA: Princeton University Press. ISBN 978-0-691-00546-1. ↑ McKee, Maggie (25 September 2014). "Ingenious: Paul J. Steinhardt — The Princeton physicist on what's wrong with inflation theory and his view of the Big Bang". Nautilus (017). NautilusThink Inc. Retrieved 31 March 2017. ↑ Steinhardt, Paul J.; Turok, Neil (2005). "The cyclic model simplified". New Astronomy Reviews. 49 (2–6): 43–57. arXiv: astro-ph/0404480 . Bibcode:2005NewAR..49...43S. doi:10.1016/j.newar.2005.01.003. ISSN 1387-6473. ↑ Lehners, Jean-Luc; Steinhardt, Paul J. (2013). "Planck 2013 results support the cyclic universe". Physical Review D. 87 (12): 123533. arXiv: 1304.3122 . Bibcode:2013PhRvD..87l3533L. doi:10.1103/PhysRevD.87.123533. ISSN 1550-7998. ↑ Overduin, James; Hans-Joachim Blome; Josef Hoell (June 2007). "Wolfgang Priester: from the big bounce to the Λ-dominated universe". Naturwissenschaften. 94 (6): 417–429. arXiv: astro-ph/0608644 . Bibcode:2007NW.....94..417O. doi:10.1007/s00114-006-0187-x. PMID 17146687. ↑ Bojowald, Martin (2007). 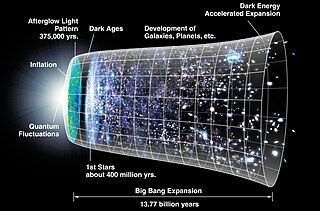 "What happened before the Big Bang?". Nature Physics. 3 (8): 523–525. Bibcode:2007NatPh...3..523B. doi:10.1038/nphys654. ↑ Ashtekar, Abhay; Corichi, Alejandro; Singh, Parampreet (2008). "Robustness of key features of loop quantum cosmology". Physical Review D. 77 (2): 024046. arXiv: 0710.3565 . Bibcode:2008PhRvD..77b4046A. doi:10.1103/PhysRevD.77.024046. ↑ David Adam (14 August 2003). "The Strange story of Peter Lynds". The Guardian . ↑ "Penn State Researchers Look Beyond The Birth Of The Universe". Science Daily . May 17, 2006. Referring to Ashtekar, Abhay; Pawlowski, Tomasz; Singh, Parmpreet (2006). "Quantum Nature of the Big Bang". Physical Review Letters . 96 (14): 141301. arXiv: gr-qc/0602086 . Bibcode:2006PhRvL..96n1301A. doi:10.1103/PhysRevLett.96.141301. PMID 16712061. ↑ Poplawski, N. J. (2012). "Nonsingular, big-bounce cosmology from spinor-torsion coupling". Physical Review D . 85 (10): 107502. arXiv: 1111.4595 . Bibcode:2012PhRvD..85j7502P. doi:10.1103/PhysRevD.85.107502. ↑ Cai, Yi-Fu; Damien Easson; Robert Brandenberger (2012). "Towards a Nonsingular Bouncing Cosmology". Journal of Cosmology and Astroparticle Physics . 08 (8): 020. arXiv: 1206.2382 . Bibcode:2012JCAP...08..020C. doi:10.1088/1475-7516/2012/08/020. ↑ Landau, Elizabeth; Bañados, Eduardo (6 December 2017). "Found: Most Distant Black Hole". NASA . Retrieved 6 December 2017. "This black hole grew far larger than we expected in only 690 million years after the Big Bang, which challenges our theories about how black holes form," said study co-author Daniel Stern of NASA's Jet Propulsion Laboratory in Pasadena, California. ↑ Jamie Seidel (7 December 2017). "Black hole at the dawn of time challenges our understanding of how the universe was formed". News Corp Australia. Retrieved 9 December 2017. It had reached its size just 690 million years after the point beyond which there is nothing. The most dominant scientific theory of recent years describes that point as the Big Bang — a spontaneous eruption of reality as we know it out of a quantum singularity. But another idea has recently been gaining weight: that the universe goes through periodic expansions and contractions — resulting in a “Big Bounce”. And the existence of early black holes has been predicted to be a key telltale as to whether or not the idea may be valid. This one is very big. To get to its size — 800 million times more mass than our Sun — it must have swallowed a lot of stuff. ... As far as we understand it, the universe simply wasn’t old enough at that time to generate such a monster. ↑ Youmagazine staff (8 December 2017). "A Black Hole that is more ancient than the Universe" (in Greek). You Magazine (Greece). Retrieved 9 December 2017. This new theory that accepts that the Universe is going through periodic expansions and contractions is called "Big Bounce"
Angha, Nader (2001). Expansion & Contraction Within Being (Dahm). Riverside, CA: M.T.O Shahmaghsoudi Publications. ISBN 0-910735-61-1. Bojowald, Martin (2008). "Follow the Bouncing Universe". Scientific American. 299 (October 2008): 44–51. Bibcode:2008SciAm.299d..44B. doi:10.1038/scientificamerican1008-44. PMID 18847084. Magueijo, João (2003). Faster than the Speed of Light: the Story of a Scientific Speculation. Cambridge, MA: Perseus Publishing. ISBN 978-0-7382-0525-0. Taiebyzadeh, Payam (2017). String Theory; A unified theory and inner dimension of elementary particles (BazDahm). Riverside, Iran: Shamloo Publications Center. ISBN 978-600-116-684-6.